A few nights ago I was trying to convey to a friend my incredulity at being able to assemble things like the brains for the Colony creatures. 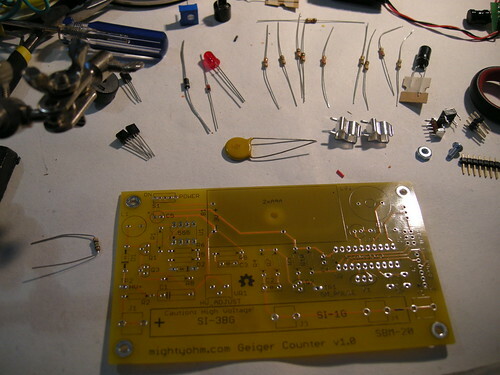 Here’s something to blow your mind: parts to fully-functioning gieger counter in about 40 minutes. Thank you open source. It’s with great pleasure that I’m now able to announce the third in the series of Circuit Bending 101 workshops. 11-6 on Saturday 9th of July. This time, with much support from Adrian McEwen, Cheapjack and SoundNetwork, the bleepy noises will be emanating from the STATIC Trading Co. studios in Liverpool. A dozen people, three projects to introduce you to the basics of circuit bending, all the tools and components you’ll need, a possible guest furby and definite cake. SoundNetwork have been kind enough to subsidise the ticket price, so all this for only £25. Quite frankly, that’s a bargain! Full details are over on the Eventbrite page. And to whet your appetite there’s a bunch of photos and videos from the last workshop in this Flickr Set. Tickets will be available from 11am next Friday (24th of June). 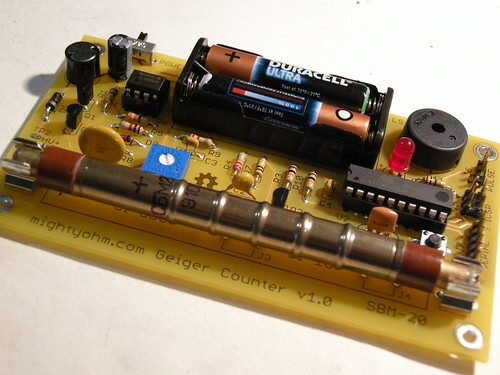 Last Autumn I started playing around with Tony Messina’s Simple Bat Detector circuit. I made a few boards and got as far as sticking one of them in an mp3 player armband …before the local bat population went into hibernation! 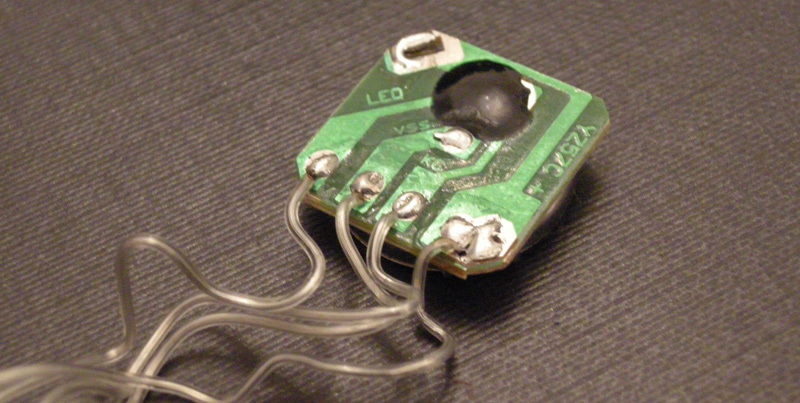 After being in the park one evening recently with bats swooping low overhead, I decided it was time to dig out the circuits again and get them tested and used. Over the winter I’ve only been able to test with the ultra-sonic rangefinder I use in my sonar goggles, so I knew the circuit works, but I needed to see if it worked with airborne moving targets! I rehoused the armband detector into something more sturdy and finally managed to coordinate with dusk and dry(ish) weather the other night to give it it’s first testing in the field. I wandered around the park the other evening and found a bat flightpath that was conveniently located above a bench. I was able to use the detector to pick up a few clicks each time the bats zipped past. A really nice moment of making the invisible audible. If you know what I mean. 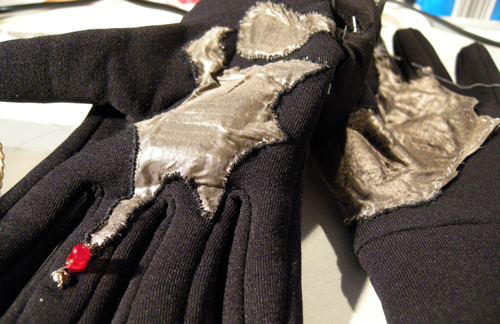 Meanwhile, however, I’m really unhappy with the crystal earpiece as the interface through which to experience this somewhat magical thing, so I’ve been working with some soft circuit techniques to develop some bat gloves. There’s still a lot of sewing to do and, I expect, quite a lot of testing down at the park as well, but I’m really happy with the early experiments and how these transform the whole interaction. 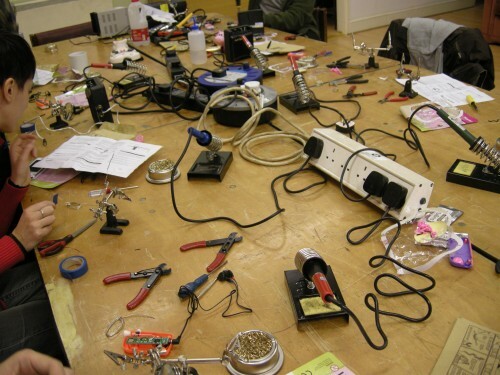 A few months ago fizzPOP – the hackspace I’ve been very involved with over the previous year or two – fizzled out. This left me not only with a slew of new skills and awarenesses of what might be possible, but also a fine collection of amassed bits and bobs. What it hasn’t left me with is a clear idea of how all this new stuff relates to my art practice. I’m on limited resources at the moment and mostly having to make use of what I’ve got to hand, so thoughts returned to a wii nunchuck I’d managed to get an Arduino to read the data from back in August. I spent a long time barking up the wrong tree with an idea about modernising the old finishing school thing of balancing a heavy book on your head to improve your posture, however, after a few hours at the internet (and a few more at Central Library), I began to suspect this might be more urban myth than anything else. I couldn’t track down any nice references for it. Also, although in my mind’s eye I could easily see the book with accelerometer in it registering when it was no longer horizontal, I couldn’t figure out what it would do next. What would the output be? Why? Starting point: what if well-known behaviour patterns were actually caused by devices? Example (involving a vibrating hat): So, you know the pattern when someone’s falling asleep in public: their head nods forward three times and then they wake up with a snort and a small quantity of embarrassment. What if, what if, this is not actually the default behaviour? What if, when left to our own devices, we just keep on nodding? What if aforementioned falling-asleep-in-public person has had the foresight to don a special hat that recognises when nodding has commences and then discreetly wakes that person up rather than leaving them nodding indefinitely? After that I’d like to make a device that reads galvanic skin response and then taps your foot up and down when you’re nervous. 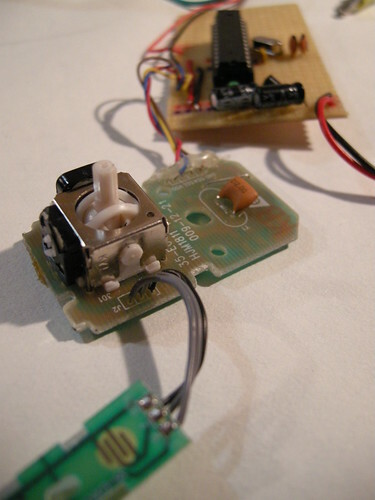 After that I’d like to make a device that… what do you suggest I make? What quirks of human behaviour might it be interesting to consider from another angle? Your thoughts in the comments please! I’m still pondering what to do with this work once it’s made: I tend to like to see things being put into use. Documentation-wise, I’m thinking something like the way Sputniko! tells stories might work. Anyone up for a train-ride with video camera and vibrating hat? 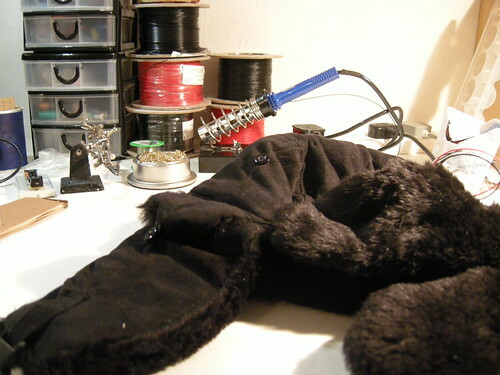 A quick test of one of the soft switches that go inside the hat's ear flaps. This one is used to toggle the alarm on and off - my next task is to refine the feedback for actions like this. Flashing and reflective armband, from in amongst the cycle stuff in Poundland. Comes in silver and fluorescent yellow. 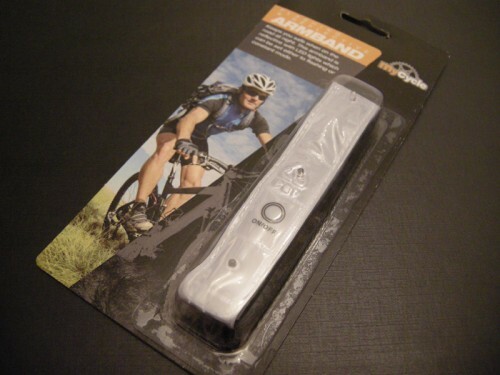 I've also seen a variant of the packaging that's orange. Elasticated Velcro strap attached to reflective band with 4 LEDs mounted along its length. Click the switch once to make the LEDs flash, a second time to have them on continuously and a third time to switch them off. 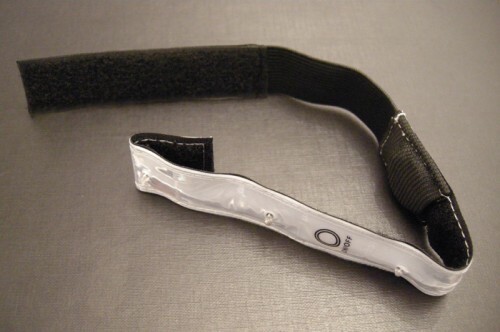 You can liberate a fair bit of Velcro from the strap. Elastic is also used to make a pouch to hold the battery. The momentary switch isn't much to look at (you were going to wrap it in fabric anyway, weren't you?) but it makes a good click when you operate it. Nice feedback. The battery clip is minimal, but does the job... Also it has a battery in it! 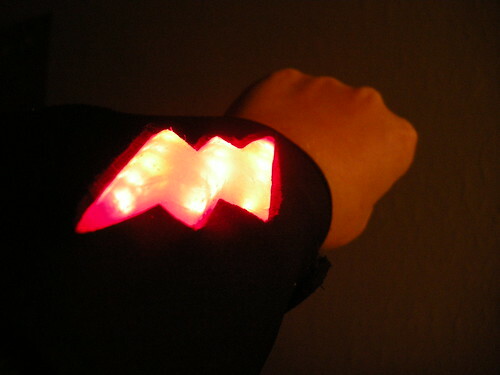 I used the battery and battery clip to power the LEDs from 3 bike lights in this superhero cuff project. 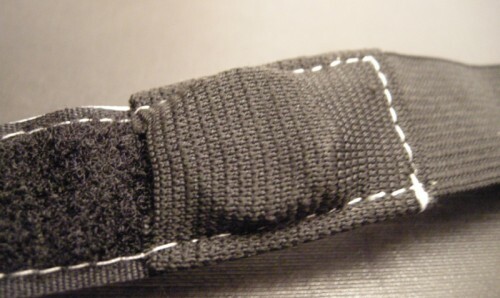 The velcro and elastic were re-used as a strap to hold it in place and the switch was used to trigger the different flashing patterns for the LEDs. 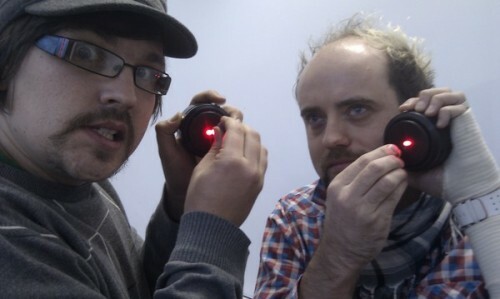 On Saturday I was at Meshed Media for the second in the current batch of three circuit bending workshops I’m running. 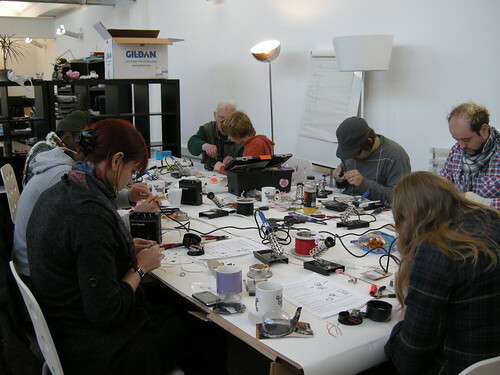 Most of the people who came along for the day had no or minimal experience with soldering, so we started off with a quick introduction to the basics before getting stuck into the circuit bending projects. By project number three it was great to see everyone happy to just get on with it, even if several hours ago they’d never soldered before! I didn’t get much chance to take photos etc, but fortunately the workshop was mostly self-documenting with various tweets, photos and audio recordings being uploaded as we went along. Very proud of my Spooky Bending. MWAH-HA-HA-HA!!! As usual, a big thanks to everyone who came and again to Chris for hosting. Many thanks to those who came along to the first of my Circuit Bending 101 workshops, and extra thanks to Nottinghack‘s Dom for hosting us. 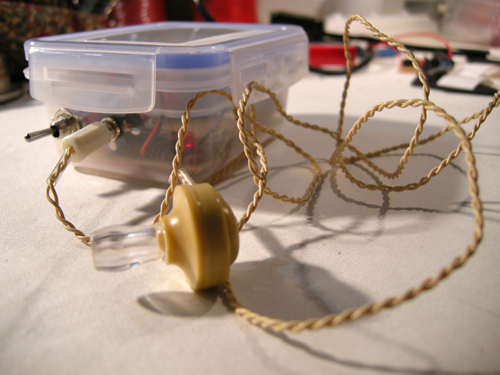 After a quick soldering re-cap (selections from my ‘Soldering for 8-year-olds’ bit at Theremin Day) we started on the first project – making a music player controlled with light. light and sound! from nikkipugh on Vimeo. Several hours later we had eaten all the snacks, had a good laugh, discussed the difficulties of bomb-making [Theatrical-Fake-Bomb-Units, that is), worked our way through all three projects and arrived at this aural treat expertly performed by The Nottingham Hackspace Unharmonic Orchestra. A thing of beauty! Next up is more of the same in Birmingham on the 27th of November, this time hosted by Chris Unitt at Meshed Media. Although it’s still a good few weeks away, places are already nearly all gone (only three left as I write this!). Head on over to the booking page to buy your ticket so you can join in the fun! 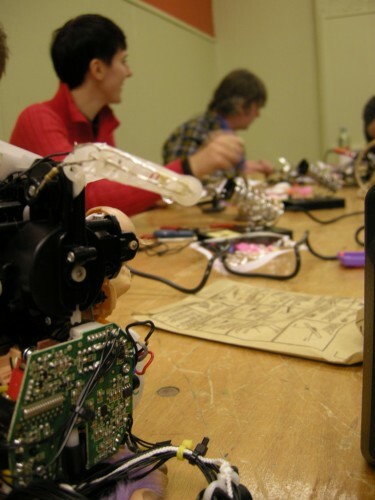 For several days now I’ve been saying what I’m really looking forward to with the Circuit Bending 101 workshops I’m running is the bit at the end where everyone will have a selection of tinkered-with electronic toys and the noise starts to issue forth. For Saturday’s workshop in Nottingham there will be up to 12 participants. That’s up to 36 bleepy things! Hurrah! Just as an experiment I thought I’d try and simulate what that might possibly sound like and recorded twelve individual segments of audio of about a minute in length. I promise I was fully intending to try and combine these together in a vaguely musical manner, however when I imported all the audio and pressed play just to hear what I was starting with, I decided to leave things how they were. So, there’s the challenge, can we make that sound any better when we have everyone jamming together after the workshop, or is that already perfection?! A second slice of LED-based Halloween goodness. 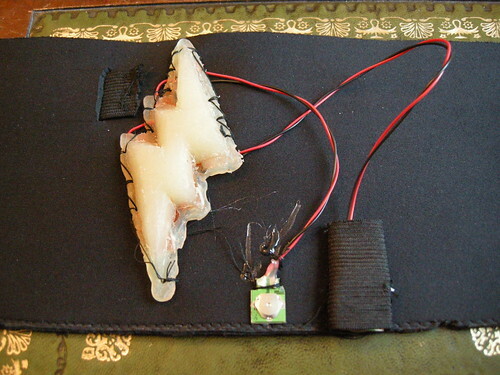 Blinking bats from nikkipugh on Vimeo. These bats will be part of my attire for later today, but they’re really quite pleasing just by themselves! 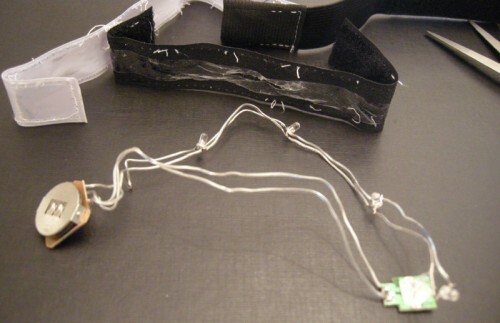 A really simple build using an Arduino-based Real Bare Bones Board, some cardboard, some insulation tape some wire and 14 LEDs. LED pairs with 330ohm resistors in series, connected between the output pins and ground. int colonySize = 7; // How many bats do you have? randomSeed (analogRead (0)); //read from the (unused) analogue pin to get a value to seed the "pseudo-random number generator"
Last night, after working on an LED-based Halloween costume prop, it occurred to me that the Spooky Bend from the Circuit Bending 101 workshops I’m doing in November [Nottingham, Birmingham] might be kind of cool in the dark. 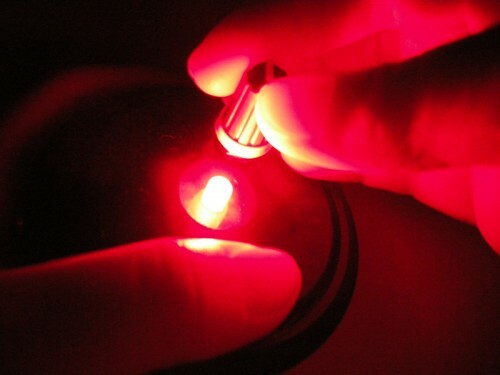 The single red LED nicely up-lights your hands as you do your stuff. Spooky Bend from the upcoming Circuit Bending 101 workshops. In the dark. Happy Halloween from nikkipugh on Vimeo. There are a handful of places left for the workshops, so if you’d like your own spooky, glowy, maniacal laughter device you can make your own (along with the two other projects). I’ve had a couple of these in my flat for a month of two now and can vouch for it being an addictive toy at any time of year! Hello, my name's Nikki. I make things happen. My main area of enquiry is centred around interactions between people and place: often using tools and strategies from areas such as pervasive games and physical computing to set up frameworks for exploration. If you'd like to commission me or collaborate with me, please get in touch via the contact page. General blog contents released under a Creative Commons by-nc-sa license. Artworks and other projects copyright Nicola Pugh 2003-2019, all rights reserved. The theme used on this WordPress-powered site started off life as Modern Clix, by Rodrigo Galindez.